The windings and bends in that frame brings a higher stability despite a low frame weight. Lightweight and comfort same time. The ideal racing bike for riders who regularly sit in the saddle for a few hours. Formally that bike is an individualist, pleasing with functional details and the high control tube which allows a better upright seating position without the use of many spacers. Who drives for hours usually wants comfort. Most team drivers from Erox have chosen this bike. Die Windungen und Biegungen im Rahmen bringen höhere Stabilität trotz geringem Rahmengewicht. Vorallem die Gabel (siehe unten) und der Hinterbau sind dadruch ideal für eine Scheibenbremse. Aber auch mit der normalen Bremse profitiert der Fahrer davon. The windings and bends in that frame brings a higher stability despite a low frame weight. Lightweight and comfort same time. The ideal racing bike for riders who regularly sit in the saddle for a few hours. 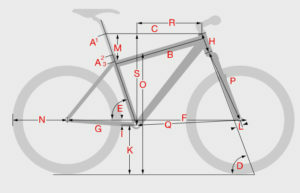 Formally that bike is an individualist, pleasing with functional details and the high control tube which allows a better upright seating position without the use of many spacers. Who ride for hours usually wants comfort. 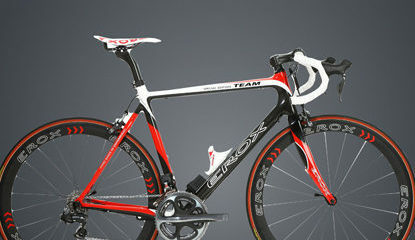 Most team drivers from Erox have chosen this bike. Erox Bikes werden von spezialisierten Händler mit Wunschteilen gebaut!